Donate now for good causes. 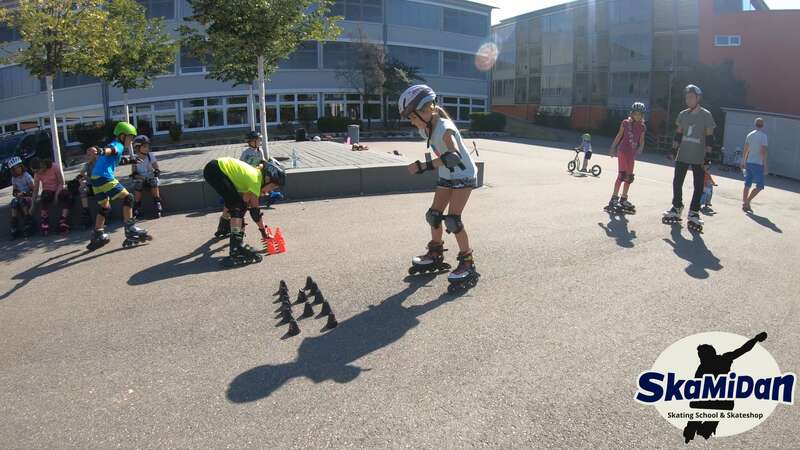 As the owner of SkaMiDan, our skating school and skate shop in Weil am Rhein, I am committed to the cohesion and activity of all people. My philosophy: Doing sport and learning together, strengthens not only the fitness and the mind, it also strengthens the community and the cohesion of people. For this reason, every week we arrange the free skate meeting called “Skate Together“. This meeting is for everyone, whether young or old, whether you’re a professional skater or a beginner. Regardless of the financial background, we would like to teach everyone in inline skating and roller skating. This is the reason why we offer many of the personal and fee required teaching units also for free as video courses of the highest quality. But that’s not all. As far as possible there are also free basic courses, free skating lessons and other activities like sommer schools. Nevertheless we would like to and we already organize personal and free skate classes and courses on-site, once we have reached a certain amount. Obviously this costs us a lot of money and time, which is the reason why we are depending on donations. Every time we will have achieved the necessary amount of money, we will organize and give free safety courses and basic courses for kids, children, families and couples, as well as summer schools for the school holidays. Therefore we also have a repertoire of rental skates, protective gear and helmets, which is also free (just for the free skate classes financed by donations. Donate now for good causes. Donate now for good causes! All of the mentioned activities of SkaMiDan can be only realised and take place regularly by the help of your support and donations. If you love to support us and all of the mentioned activities, we will really appreciate your donation and individual help! All donations will be used for 100 percent to organize and give free skate classes and courses for kids and adults, as well as for events for children. If you have any further questions or suggestions don’t hesitate to contact us via phone, e-mail, contact form, WhatsApp and others. All of the needed information to contact us you will find over here. We will love to show you what will be happened by your donations. Please let us know your contact data to say thanks in personal or be informed about the latest news by our YouTube Channel. Therefore just click on the following link or hit the Paypal-Button: „Donate now”. Therefore just click on the following link or hit the Patreon-Button: „Donate now”. Therefore just use the following bank data or download our „transfer form”. Naturally, every donation is very welcome, no matter in what amount. We would also love to say thanks, therefore please leave a short „message”.